UCLA nearly conquered its Stanford mountain in 2016, but the Bruins took several steps backwards in the 2017 attempt, losing 58-34 at Stanford Stadium on Saturday. With a chance to go up by two touchdowns, Theo Howard dropped a pass in the end zone and the ensuing field goal was blocked. The Bruins were at the Stanford 3-yard line and came away with no points. Then Stanford scored 17 straight in the next 6:32 to finish the half. The Cardinal went on to score on eight of their final drives with seven touchdowns. 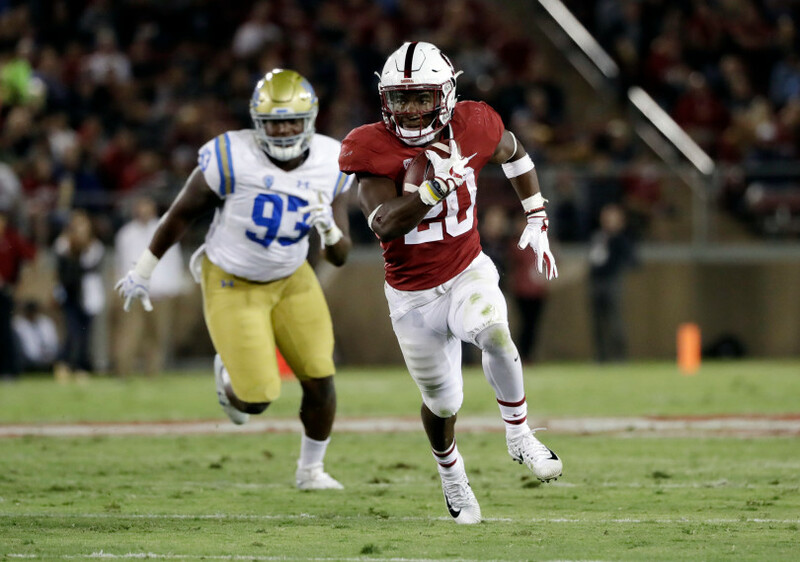 Running back Soso Jamabo talks about the offense’s performance against Stanford, getting back on the field after missing the past two games and where the Bruins go after their second straight loss. Linebacker Kenny Young talks about where the defense went wrong against Stanford, tackling Bryce Love and his hopes for the rest of the year. Wide receiver Darren Andrews talks about what went wrong against Stanford, the momentum-shifting drop and blocked field goal in the second quarter and UCLA’s spirits after the loss. Quarterback Josh Rosen talks about the impact of the offense’s four turnovers, how he views his performance against the Cardinal and how the Bruins felt in the locker room after their 10th straight loss to Stanford.